If you do a simple internet search, you will find tons of websites with "personal injury settlement calculators," claiming to be able to tell you what should be considered a fair settlement offer for resolving your car accident or other type of personal injury case. To accept these statements at face value would be to believe that all personal injury cases should be resolved by simply punching a few numbers into a calculator. While it's true that insurance companies often do use arbitrary calculations to come up with their "starting point" offer to an injured victim who is pursuing a personal injury claim, the concept of a settlement calculator telling you what to accept to settle your case is a bit of an over-simplification of the legal process, to say the least. In reality, even the most experienced and qualified personal injury attorneys may have a difficult time telling you what a fair settlement would be until they have conducted a thorough investigation, interviewed witnesses, reviewed medical records, and consulted with relevant expert witnesses. 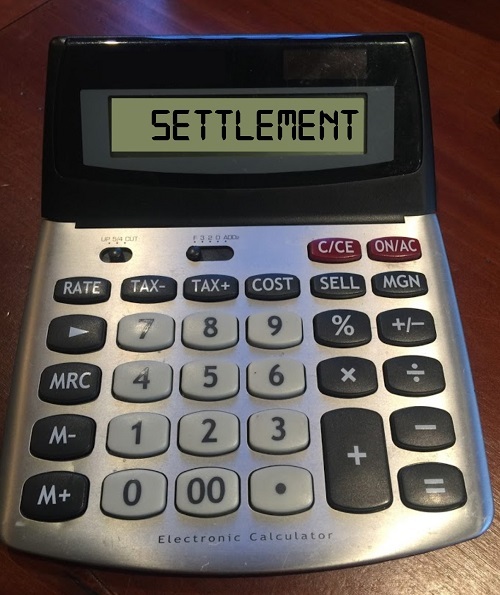 Who Is Behind Settlement Calculators? Originally, many of the settlement calculators on the internet were created by insurance companies. These websites were originally launched as part of a misinformation campaign that is designed to lower your expectations and decrease the amount of money they pay out for injury settlements. Today, there are dozens of other websites that have attempted to copy the style in hopes of generating a few easy clicks and capturing advertising revenue by offering misleading information about what accident victims should accept in the form of a settlement offer. Either way, this kind of misinformation can give accident victims bad advice and lead them to making poor decisions about their case. If you are feeling unsure about whether the insurance company is cooperating and making good-faith attempts to settle your case fairly, you should consult with an experienced personal injury lawyer. The legal team at Davis Law Group will review your injury claim absolutely free of charge and help you better understand if it makes sense to hire an attorney or if you may be able to achieve a fair settlement on your own, without having to pay for an attorney. 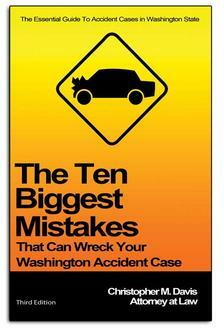 The truth is there is no formula for determining the value of a car accident or personal injury claim. The circumstances of every accident are different. Every person and their injuries are different. The impact injuries have on one's life is different from person to person. The amount of time that it takes to heal from an injury is different for everyone. And pain and suffering is different for every person. How do you put a value on a life? You can't. Are you just like everyone else? No. There is absolutely nothing simple about determining a fair settlement value in injury accident claims. If you have been injured in an accident you would be well advised to consult with a qualified personal injury attorney. Only an experienced and qualified personal injury attorney, who has extensive experience investigating and successfully resolving personal injury cases like yours, can help you determine the fair value of an injury claim. And even then, it takes time. The formulas you often see online may set unrealistic expectations for victims about the nature of the case. Again, the only way to get a realistic and accurate idea of the value of a personal injury claim is to consult with an attorney who has experience representing victims of accidents like the one you have suffered from. If you or a loved one is confused about the insurance claims process and feel unsure about what to do, the award-winning injury lawyers at Davis Law Group are here to help. We can help you better understand your legal rights and options and determine when it may make sense to hire an attorney to represent you. We won't try to tell you that we know exactly how much your case is worth like other attorneys might. Instead, we'll give you honest answers to your questions and help you make the best decision for your financial future. We work on a contingency fee basis, which means there is no obligation and no up-front cost.